Let’s begin with the National Archives and Records Administration (NARA). NARA is the nation’s record keeper. What makes Barack Obama’s Presidential Center unique from all other Presidential Libraries? Quite a bit, but most importantly, the Center will not be part of the presidential library network operated by NARA, and they intend to maintain digital records versus documentation in the library portion of the Center. What does this translate to? No one is overseeing these documents be made available to the public, as has been done with all past Presidents. Interesting huh? And, quite honestly, I’m not convinced this is even legal. Since we are on the topic of the Barack Obama’s Presidential Center, there are a few other interesting points to mention. He is utilizing his Barack Obama Foundation to oversee the creation of the Center and the construction of its campus. Therefore raising the money from within his foundation as opposed to outside donors, which is how the process generally works. The University of Chicago is “hosting” this center that will monopolize Jackson Park on the south side of Chicago, and it will consist of multiple structures with just a tiny 1-story library. Leading the pack is none other than Valerie Jarrett, Obama’s former senior advisor, who is on the board of the Barack Obama Foundation and just recently joined the University of Chicago Law School as a distinguished senior fellow. This entire arrangement stinks of pay-to-play while hiding the documents. Moving on to Julian Assange. Throughout the months of November and December Wikileaks and Anonymous Scandinavia were throwing out teaser videos regarding a big Christmas present coming. The videos featured the 12 days of Christmas, and with each video there was a new disclosure of the corruption being exposed within the U.S. government. On December 21, 2017 Julian retweeted Wikileaks tweet regarding a CryptoKitties donation to Donald J. Trump and Hillary Clinton. 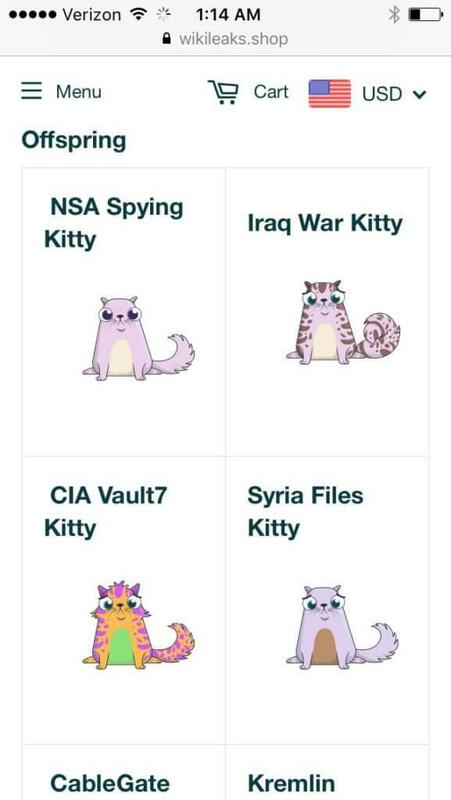 The names of the offspring to these CryptoKitties is equally intriguing, which align with the video teasers. 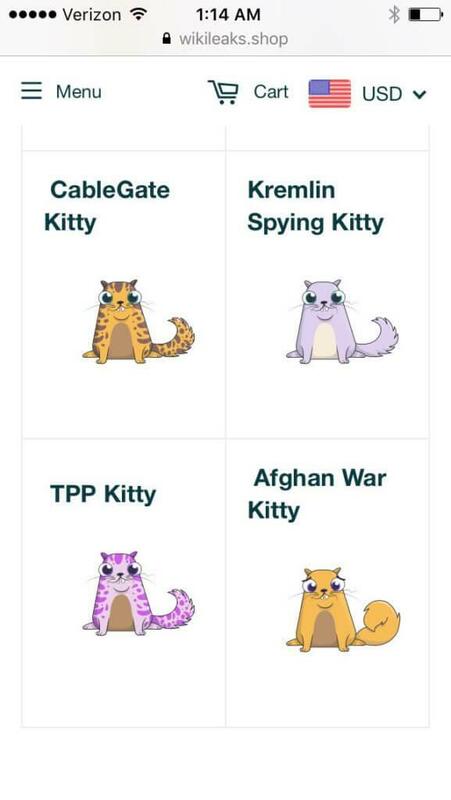 These unique CryptoKitties are valued at several thousand dollars, meaning that President Trump will have to declare Wikileaks’ gift under 5 U.S.C. § 7432 and regulation GSA FMR B-41. Trump’s Tender Tabby will become federal property to be enjoyed by future presidents via custodians at the US National Archives. Let’s take a look at what these laws mean that Wikileaks is referencing. 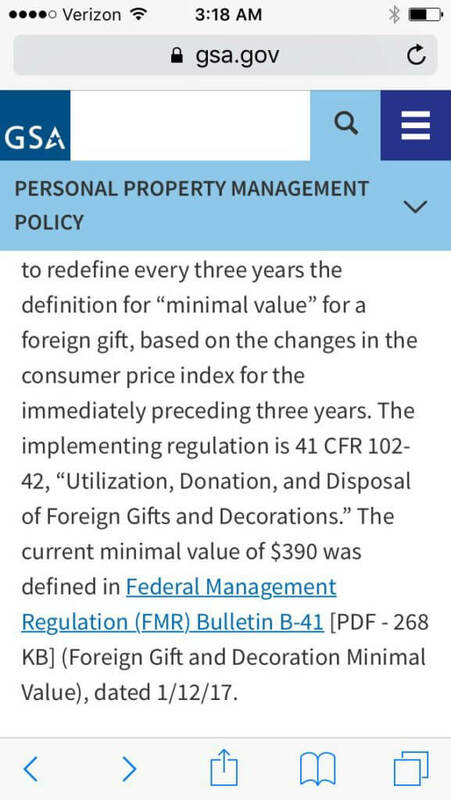 As we can see above, the current minimal value of $390 was established in the Federal Management Regulation Bulletin B-41 for a Foreign gift and decoration minimal value. 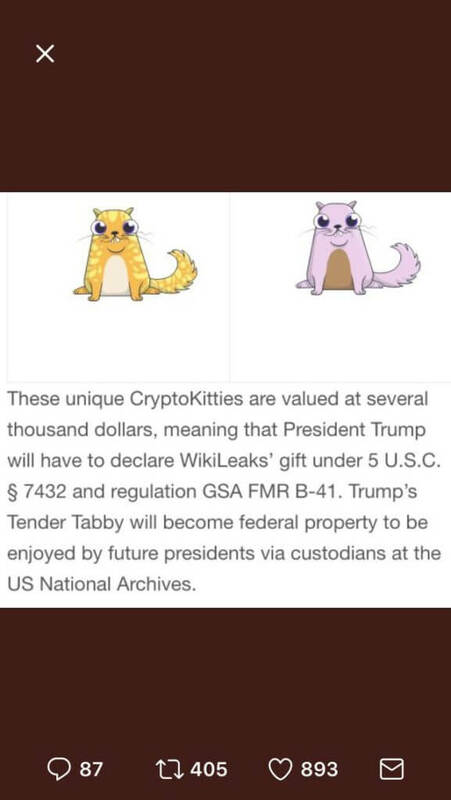 Wikileaks stated that the CryptoKitties are valued at several thousand dollars, and would, therefore, be considered a Foreign gift that President Trump would be required to declare, and will, therefore, become Federal property. But why would it go into NARA and be enjoyed by the public? Because Cryptocurrency can carry data with it, and by claiming it would go into NARA, they just validated that it, in fact, is data. So what does this mean exactly? 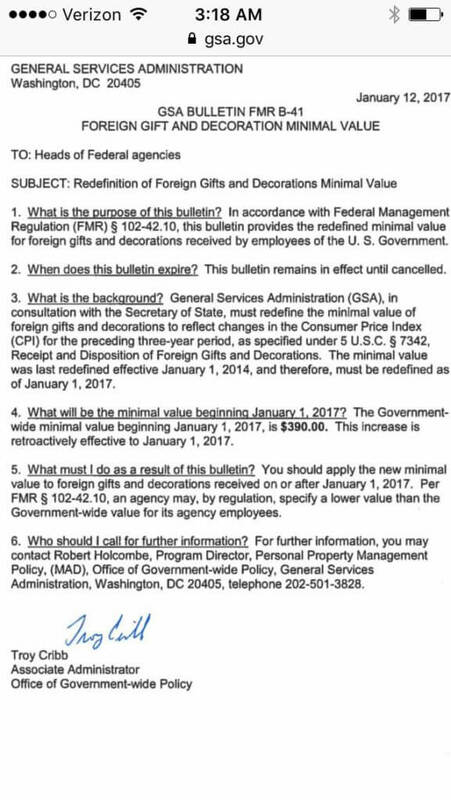 Based on all of the above, this most likely means that Wikileaks transferred (gifted) very sensitive material to President Trump. What is curious is that they stated they were gifting Hillary Clinton a CryptoKitty as well, which would be quite humorous if it was an exact duplicate, being as she is already privy to the information and much of it is likely incriminating evidence against her and her corrupt cronies. It is also quite genius of Julian Assange and the Wikileaks team. One would suspect much of this incriminating evidence will be exposed long before this material reaches NARA, after President Trump is no longer in office. But if it shouldn’t, the information will eventually be made available for the public to see.